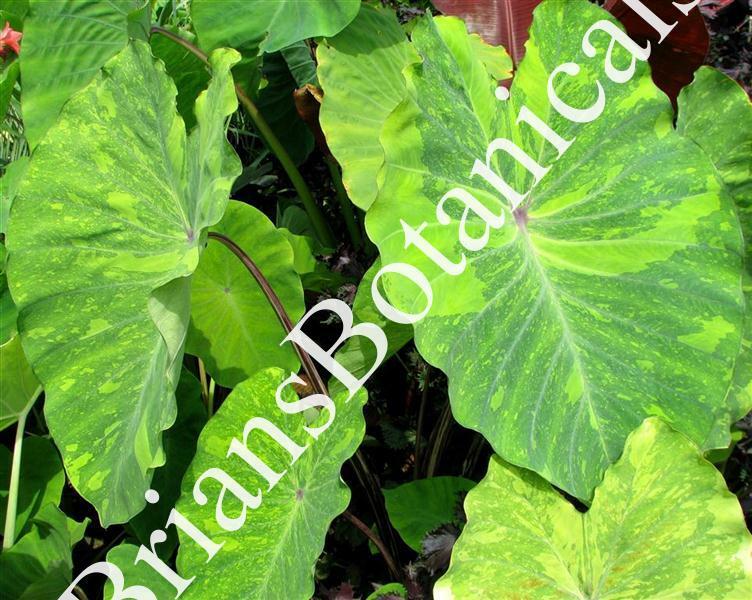 Colocasia Lemon Lime Gecko ppaf is a new hybrid in our Gecko Series TM. This series consist of vigorous new hybrids all of which are very colorful and unique. This hybrid being no exception. Each leaf is dark green with lime green blotches through out. The center of each leaf has a red to pink dot. The petioles are dark maroon to black and streaked with white. The dark streaked petioles contrast greatly with the leaves and makes for a great display. Great for use in landscapes, mass plantings or containers. Each plant is grown in 4 to 4 1/2 inch pots.